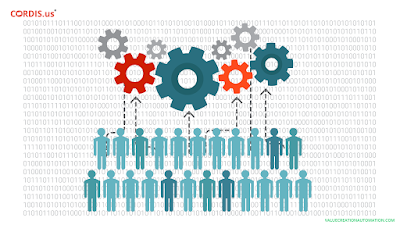 How an Intelligent Process Automation Software Reduces Operational Costs for Businesses? 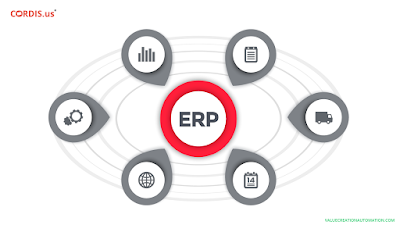 The early 90’s witnessed the emergence of Enterprise Resource Planning (ERP) software, which was meant to help companies in improving the efficiency of certain defined processes. However, it had limitations and huge costs involved but, the Large Enterprises were ready to implement this new form of technology. The On-Premises ERP software still has limitations; Is still costly and cannot be afforded by SMEs (Small and Medium Enterprises); Is neither flexible nor customizable — and perhaps, this is the reason that the demand for such traditional process management software is sharply receding. At the present what constitutes approximately 83% of the total market share is advanced business automation software, which offers cloud-based software services and incorporates evolving technologies such as Software-as-Service (SaaS). VCA is one among those advanced business management software, which make technological solutions equally affordable for Small and Medium businesses as well. Developed by Cordis Technology, Value Creation Automation (VCA) is one of the leading business solutions, which is designed to save the overall operational costs in multiple ways. ich also combines the evolving technologies such as Artificial Intelligence (AI) and Automation, save operational costs for Large Enterprises and also allows small business organizations in performing efficiently without much working capital required. Tasks that are repetitive in nature and are meant to be performed on everyday basis involves both time and money. With the automation of such rote tasks, companies can save both time and costs to a great extent. The automated system eliminates time-lag and ensures that entire business tasks are complete within the allocated time & budget and that too in one go. Companies do not have to invest time and money to finish the same tasks again and again. With VCA, the automation is not limited to just a particular process. This business management software is an end-to-end solution. Entire processes including HR, supply chain, finance, marketing, sales - VCA is designed to automate entire processes. This saves much time for employees, which enables them in being more creative while performing diverse tasks to achieve the common organizational goals. On the other hand, it also reduces the error-rate by a great extent and helps companies in enhancing the efficiency of processes. Be it the Managers assigning work to his or her subordinates, checking the status of work or be it the employees requesting to solve queries — an advanced process automation software support companies in setting up a smooth communication flow. Integrating advanced communication mediums such as emails, SMS, VOIP, Telephone, fax and chats - VCA, for instance, simplifies the entire communication process. 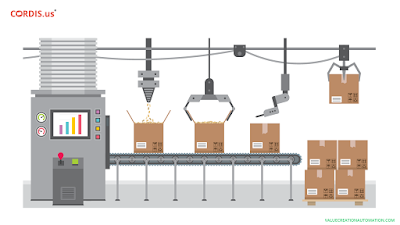 Supporting both the horizontal and the vertical communication model, VCA ensures instant identification and elimination of performance bottlenecks. Therefore, it makes processes fast and accurate, resulting in the saving of both time and money. One of the most affordable process automation software - VCA, consists is designed to largely support the optimum resource utilization. With business models such as Lean Management and Six Sigma, it becomes uncomplicated for companies to identify and eliminate tasks that are adding no value. Moreover, Owners and Directors can quickly identify resources lying unutilized. And hence, they can quickly direct such resources towards optimum utilization. With an advanced cloud-based business automation software, businesses do not have to fear for the loss of data. The entire data pertaining to the business is saved in the cloud, within multiple security layers. This facilitates in performing diverse tasks from anywhere and anytime. It also allows businesses to remain connected to customers 24 x 7, across multiple media platforms. This helps in building credibility among customers. Be it receiving orders from customers or payments, executives can be available to support customers round the clock. Diverse business operations involve innumerable people, processes and function. And, it becomes really complicated to put everything is the harmony. But with VCA business automation software, companies can integrate people, process and all the other functions pertaining to the business into one single platform through a visual dashboard. Business leaders can have instant access to the details of transactions and that too in the real-time. The visual dashboard, which can be viewed even on smartphones and tablets, helps in accessing data and information across departments; Keeps statements and reports ready for the reference to Owners and Directors. Even when they are on the go, Owners and Directors can have entire business control at their fingertips. This enhances visibility and hence given better control of operations. As businesses do not need to build a server or necessarily have a dedicated IT team and neither do they need to install hardware and software — they don’t have to bother about investing money in the maintenance of server or for the update and upgrade of the software application. The SaaS technology supports regular update and upgrade of the software application and businesses do not have to pay any additional cost for the same. 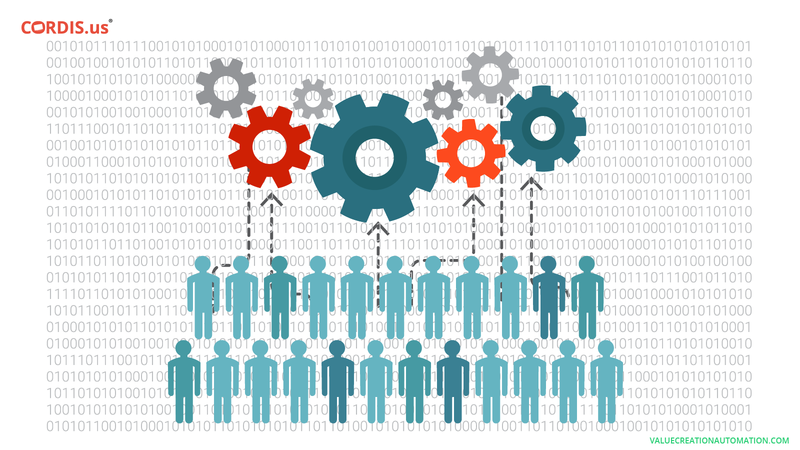 All such costs are borne by the business automation software vendor. Businesses are required to invest a huge amount of money when implementing the traditional On-Premises ERP software. Huge Infrastructure is required and also a long-term contract. VCA, on the contrary, is a used-based process automation software. Businesses just have to pay for the number of users deployed. Moreover, users can always be added and removed, as companies deem to be necessary. This, again, help companies in saving costs. The traditional On-Premises ERP software involves huge costs and time — in the installation & configuration, maintenance, updates & upgrades, training of employees and many such other things. On the contrary, an intelligent process automation software such as VCA is a perfect solution to the business leader’s continuously growing concerns such as increasing operational costs and inefficiency in managing processes. 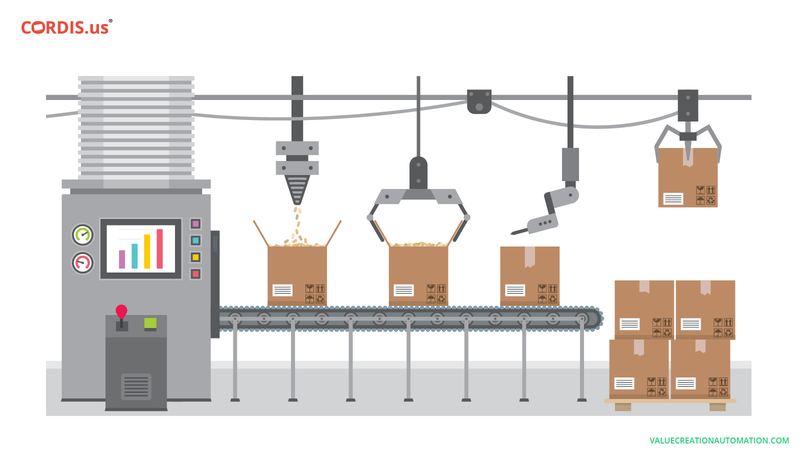 An intelligent process automation software allows companies to catch up with the pace of time. Having implemented such solutions, the business organizations across the world can gain complete benefits of competitive advantages. Advanced automation software, for instance, VCA, enables in understanding the continuously changing preferences of the end-user and creating strategies to deliver the value. Be it reducing the high employee turnover rate, retaining customers and implementing strategies to attract new ones, winning the confidence of investors and creditors, ensuring compliance to tax authorities, abiding by the other various government policies & protocols — an intelligent process automation software enhances the efficiency of tasks being undertaken on every front. These are some additional factors, which supports businesses in saving the operational costs and therefore, gaining a constant growth and success even in the long run.